Back in December we made a post about the upcoming UDM Burst 30 line, but we didn’t have a photo of the finished product. 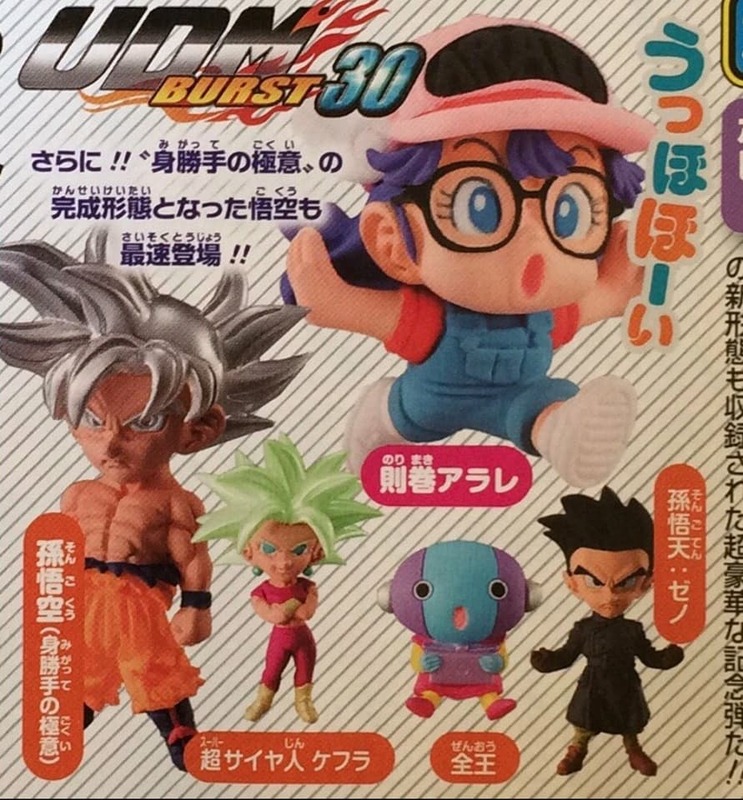 Well today has brought us a nice photo of the UDM Burst 30 line up in color, with the secret Goku figure revealed as well. Understandably the Mastered Ultra Instinct Goku figure has to be silhouetted as to not spoil future episodes of Dragon Ball Super. But now that the secret is out, all kinds of merchandise, that has been in the works for some time, is being revealed. UDM Burst 30 is set for release in March, 2018. Each figure is dispensed at random, for 200JPY, however they always seem to make their way into collectable shops after some time. For anyone curious, these figures measure in at about 4cm in height. I appreciate the kind words. I don’t plan to let the site die anytime soon. I just haven’t seen much news worthy stuff lately.